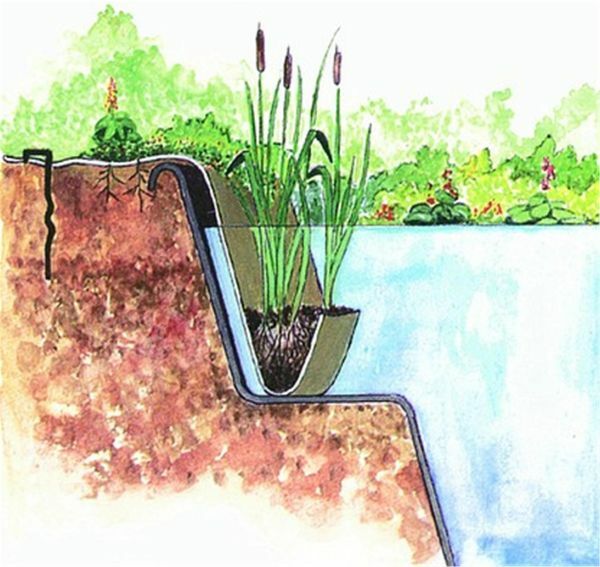 The hessian marginal shelf planter is ideal for housing marginal aquatic pond plants. Constructed from strong synthetic polypropylene fibre and jute hessian, this product offers the perfect solution to planting marginal flora in a natural looking way in ornamental ponds and swim ponds alike. The planter measures 100cm x 60cm and features a large central soil bag divided into two separate pockets of 20cm x 50cm for planting. Also supplied are four ground pegs for securing at the pond side.